Steam peas for about 2 minutes, then rinse under cold water. 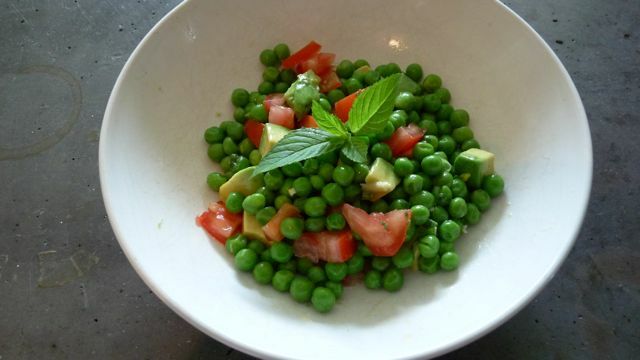 In a bowl, mix peas with chopped avocado and tomato. Toss with vinaigrette. Divide into two bowls and garnish with a sprig of fresh mint. Yum! Next time I’m going to add a little shaved or grated parmesan. I experimented at the end, sprinkling on a little grated in my dish, and it was good too.